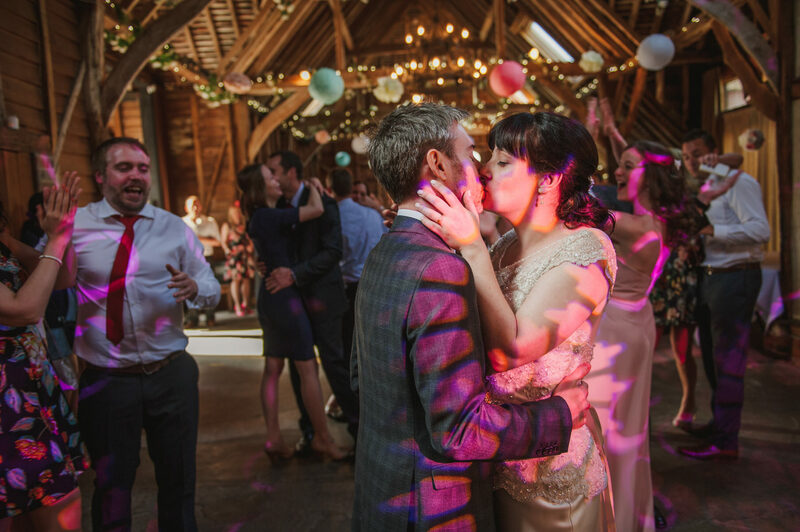 It was a joy to be back at Heron’s Farm in Pangbourne, Berkshire to photograph the pretty, rustic wedding of Frances and Matt last May. 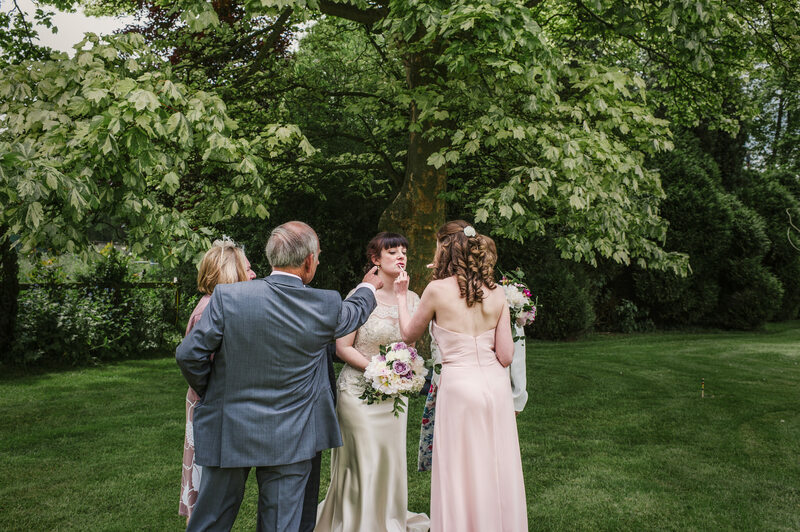 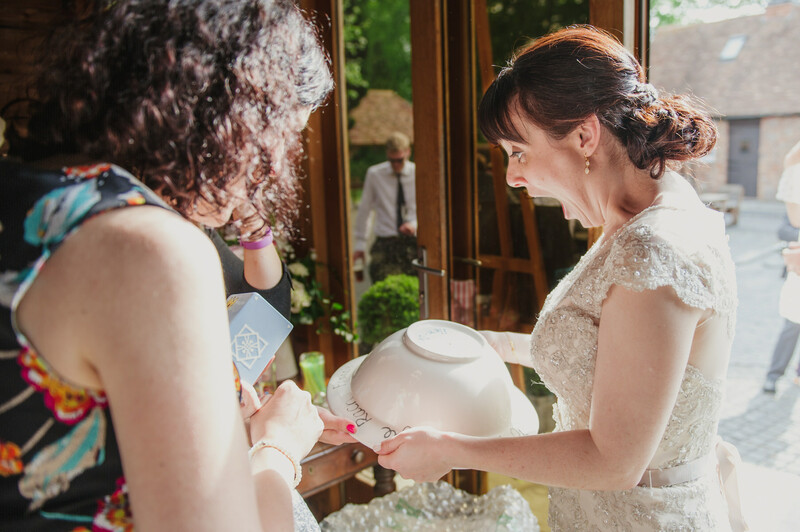 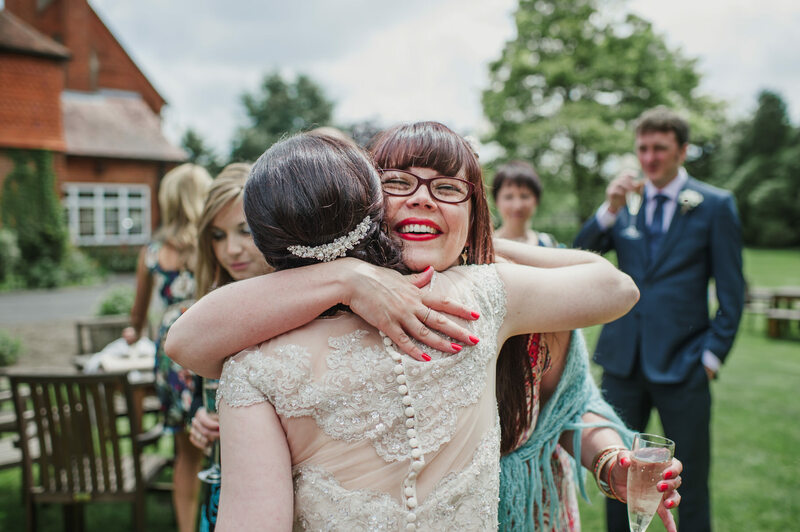 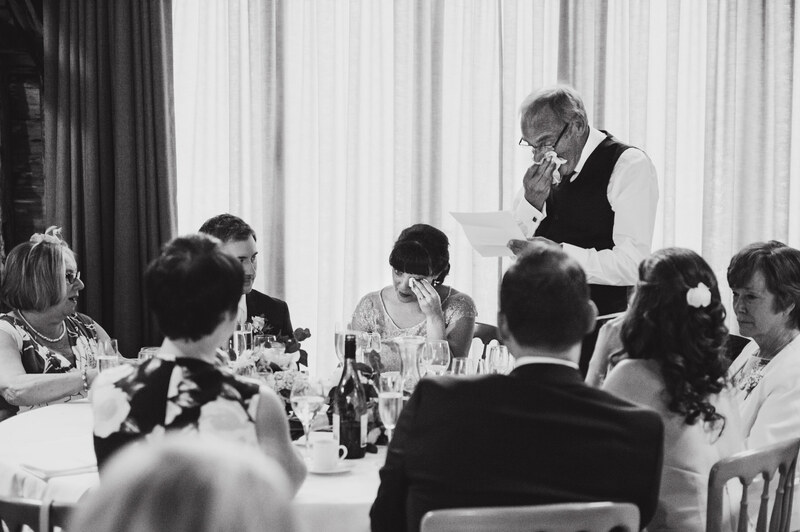 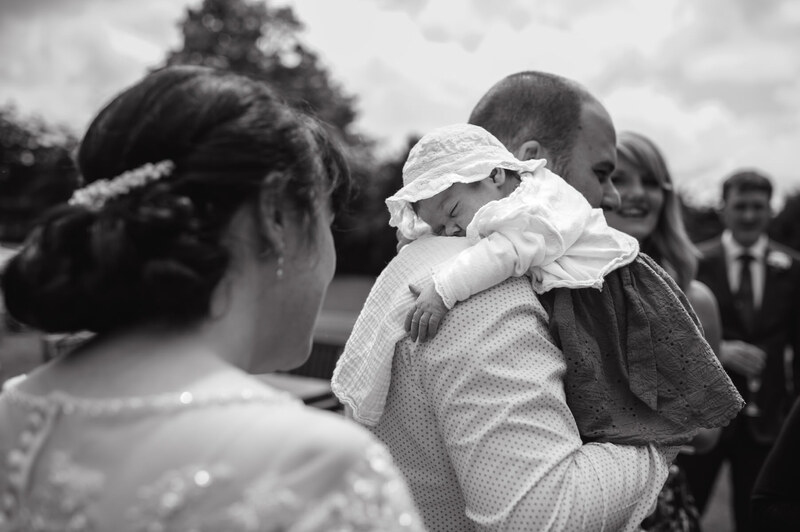 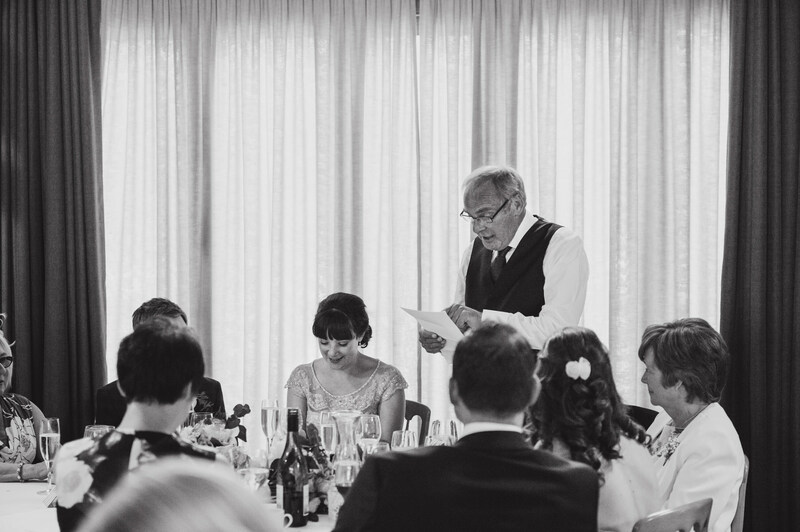 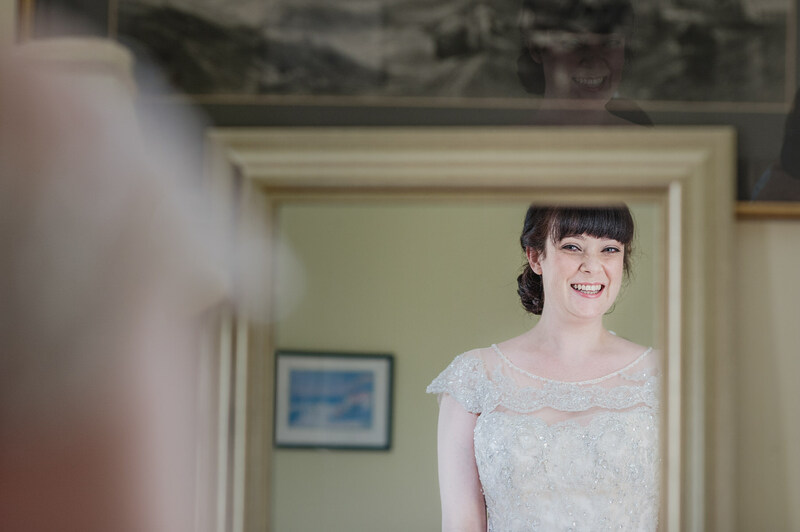 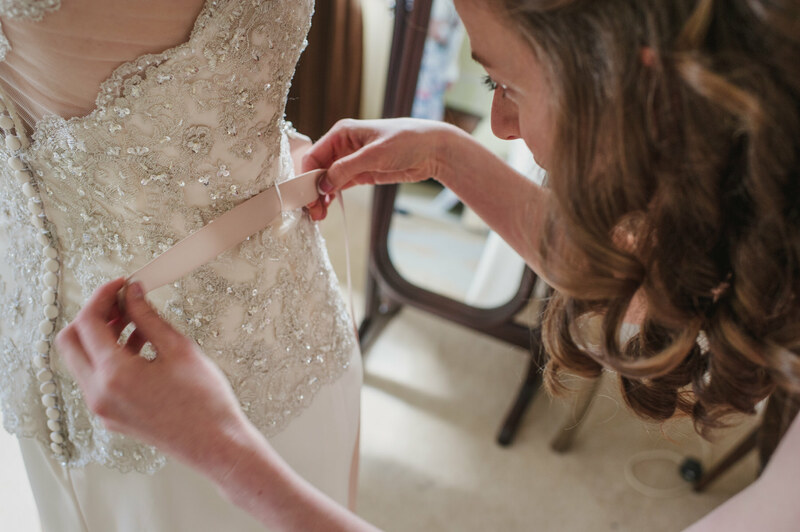 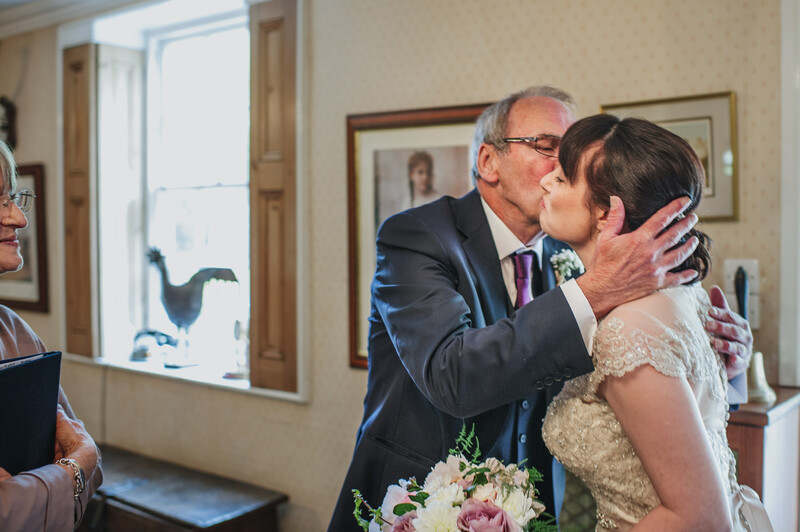 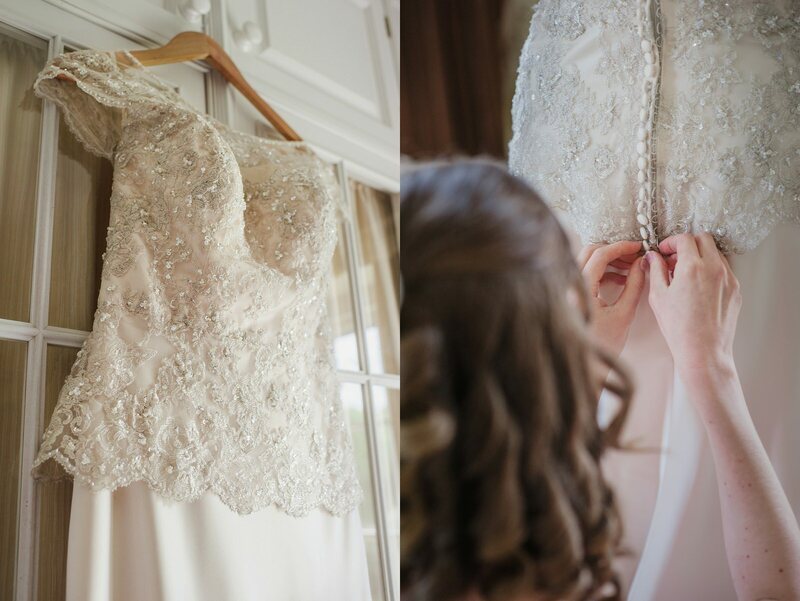 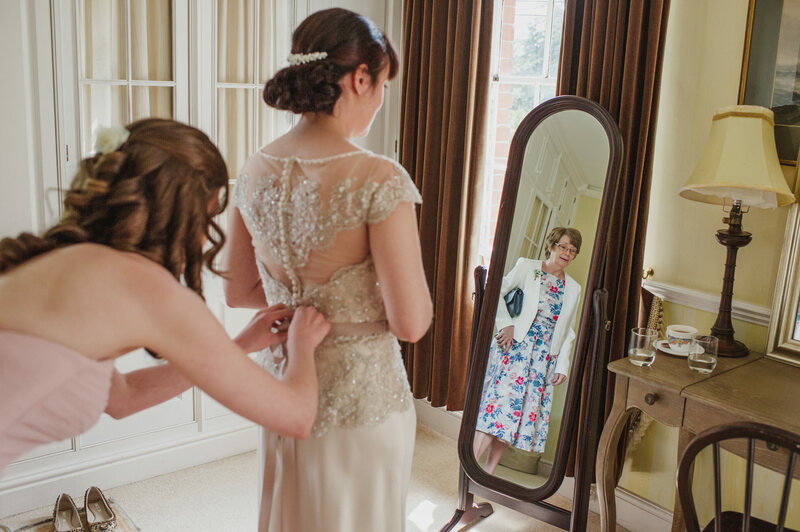 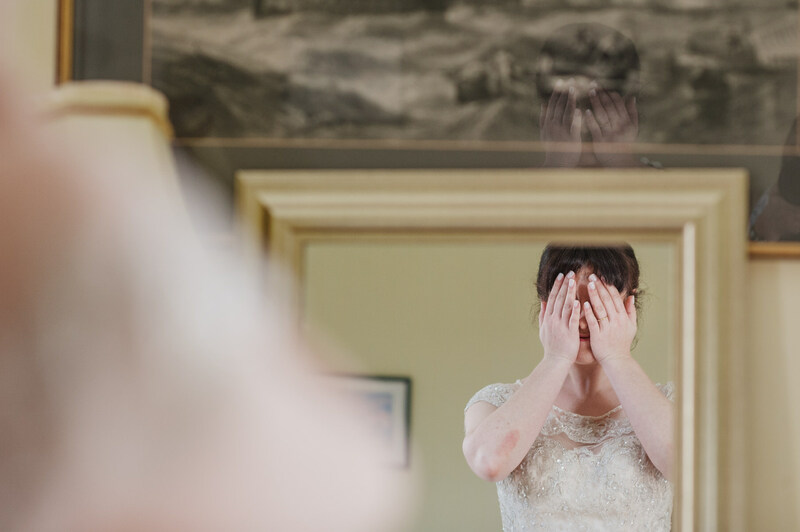 When I arrived to see Frances getting ready she was so relaxed and organised, everything was bang on time and her lovely Mum and bridesmaid Louise were on hand to help. 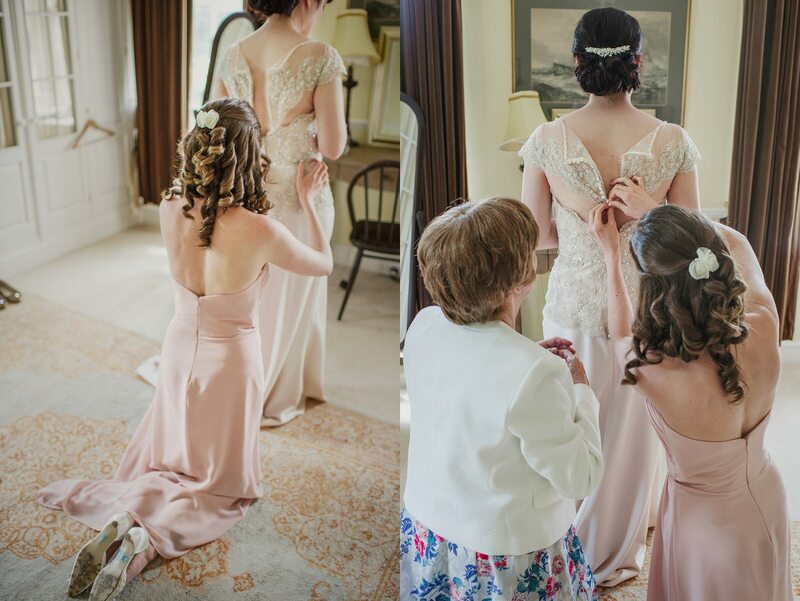 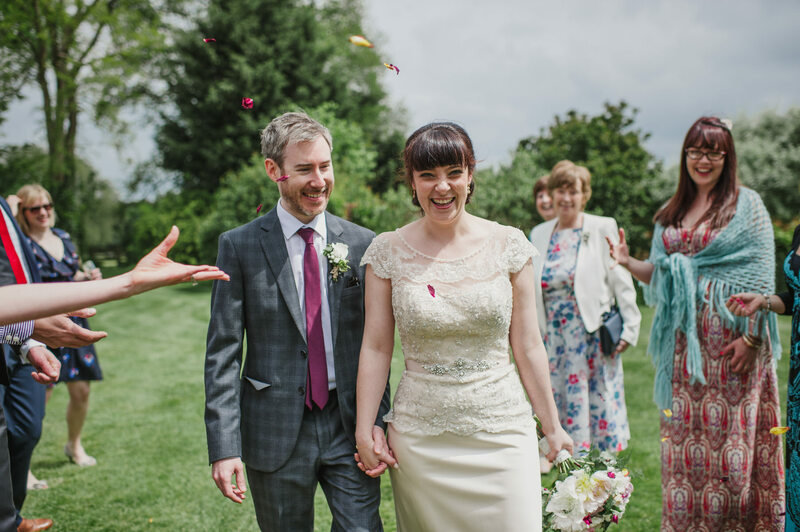 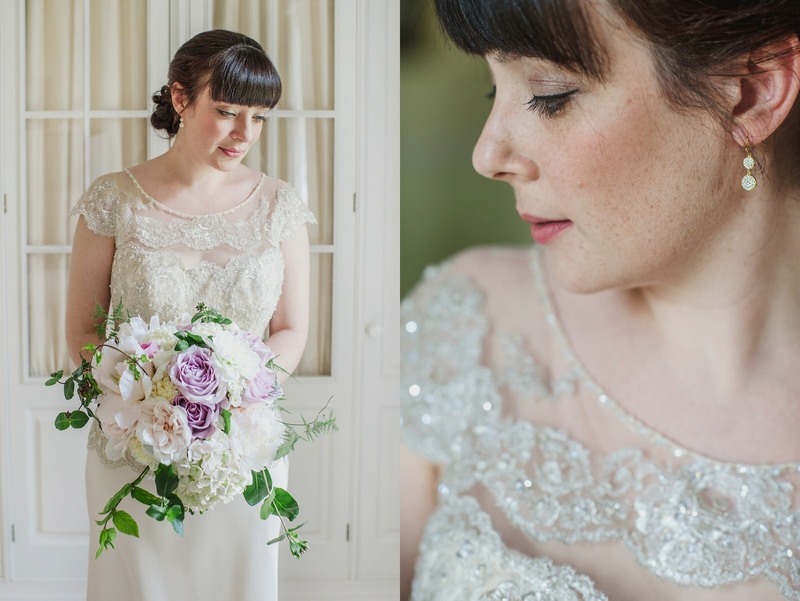 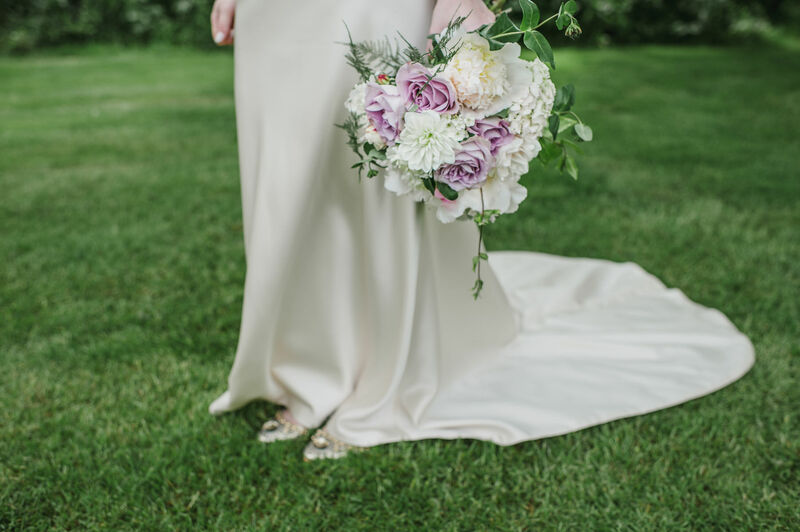 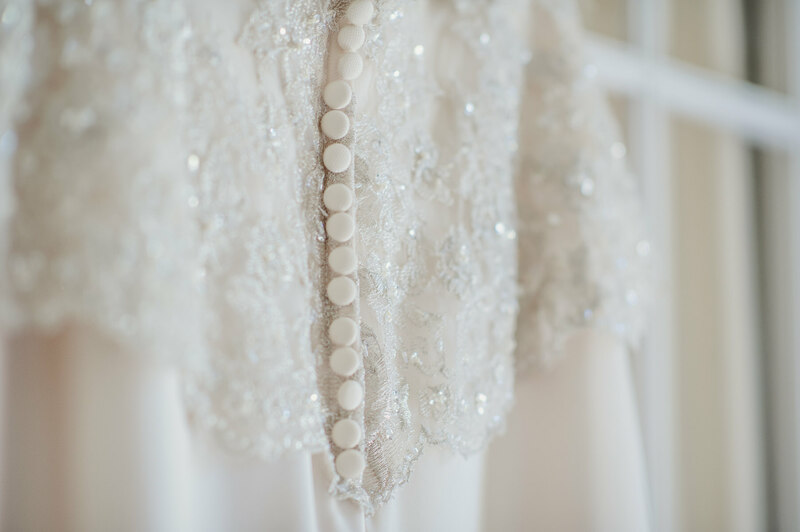 Frances wore the most beautiful beaded gown by Maggie Sottero and had gorgeous decorated pumps from Boden, perfect for dancing in later. 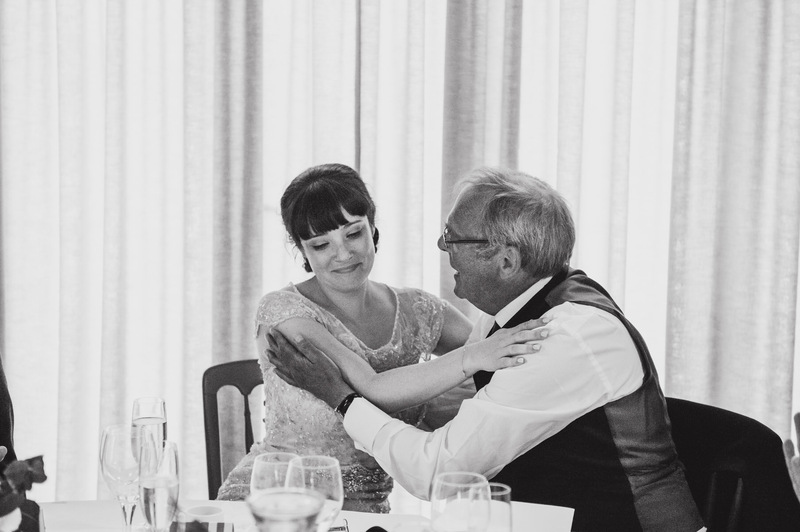 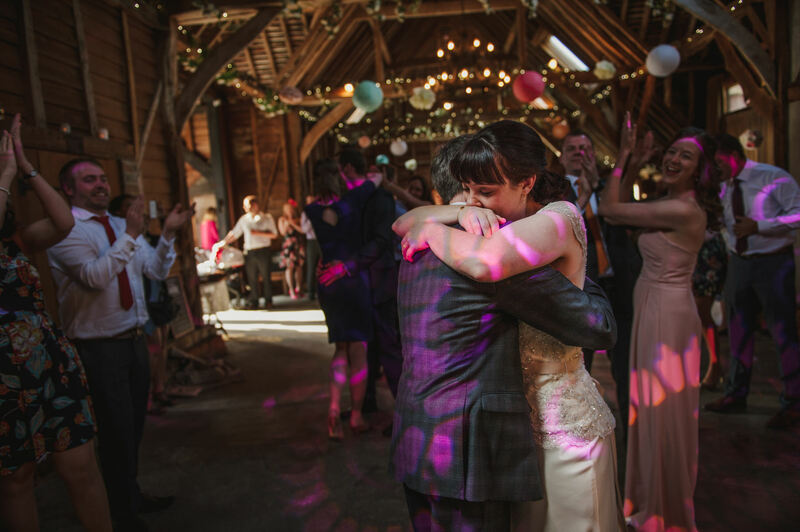 They chose the very romantic Dean Martin song, You’re Nobody Till Somebody Loves You for their first dance. 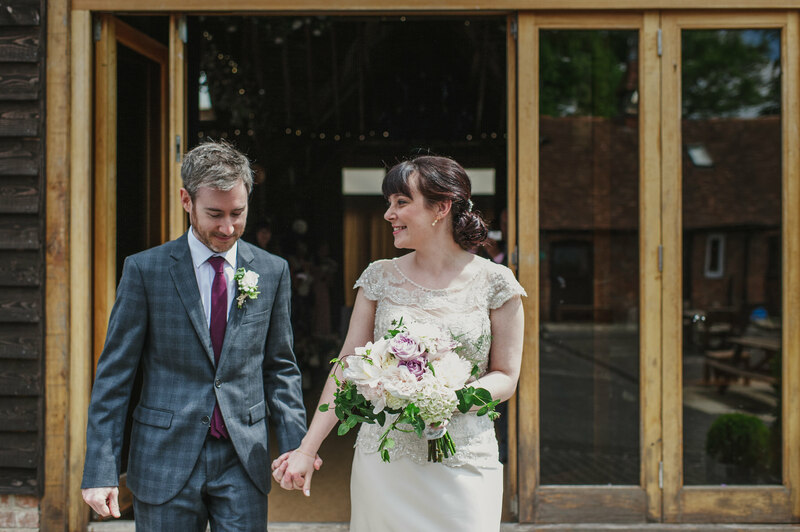 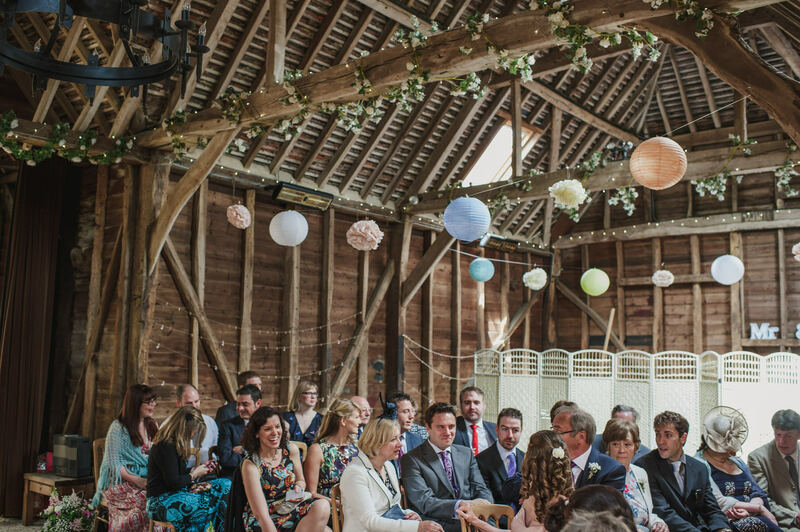 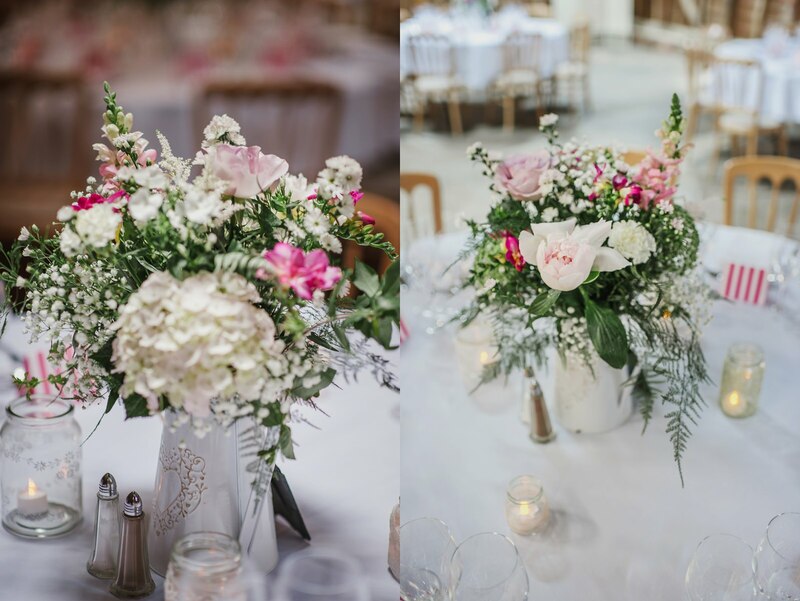 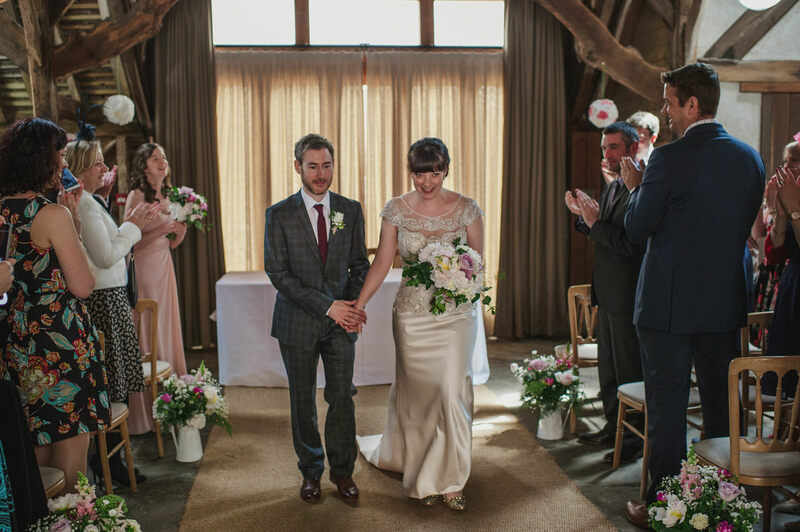 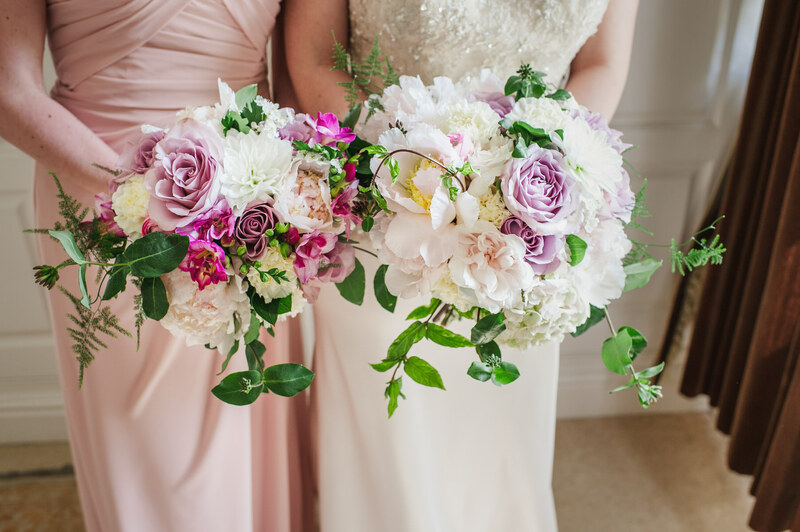 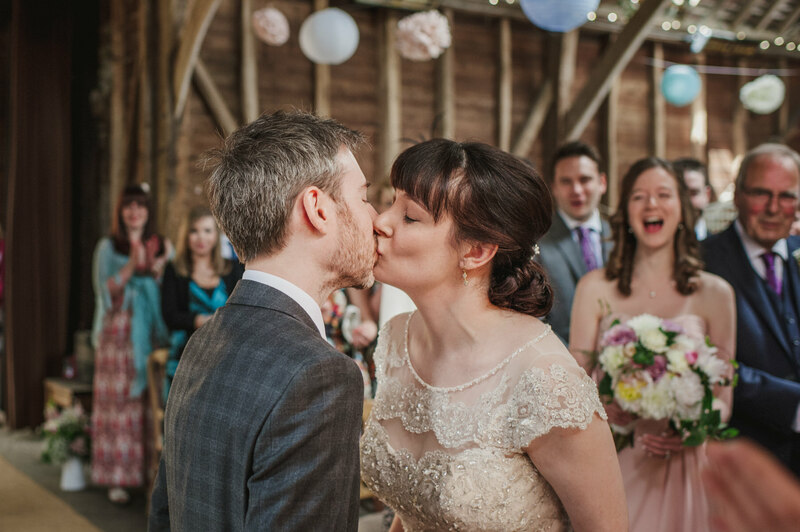 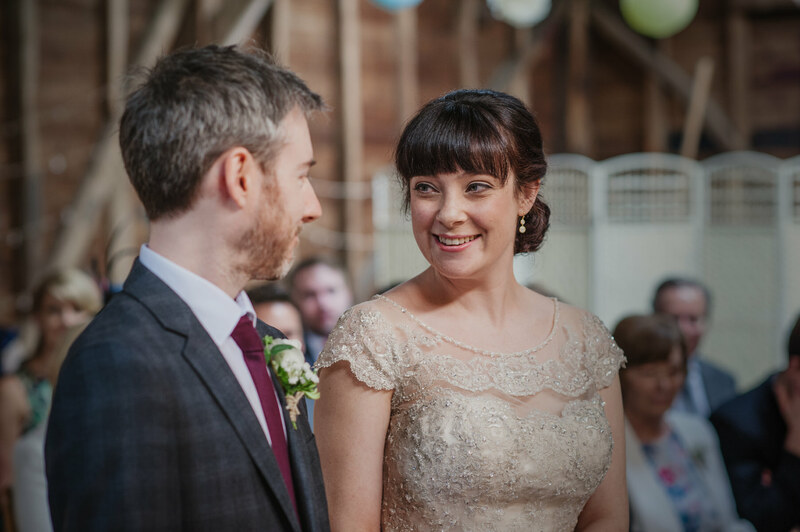 The barn at Heron’s Farm looked beautiful for the ceremony and reception filled with blooms from the talented Cara at Ivory Rose Flowers who also made the stunning bouquets for Frances and Louise. 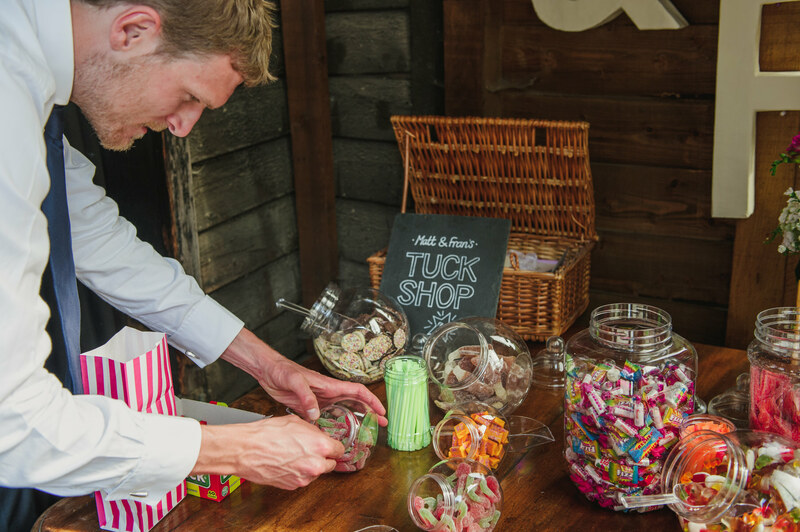 Frances had hand painted all the pom-poms hanging from the ceiling and the table place names were hand stamped the sweetie bags to be used later to raid the sweet ‘tuck shop’. 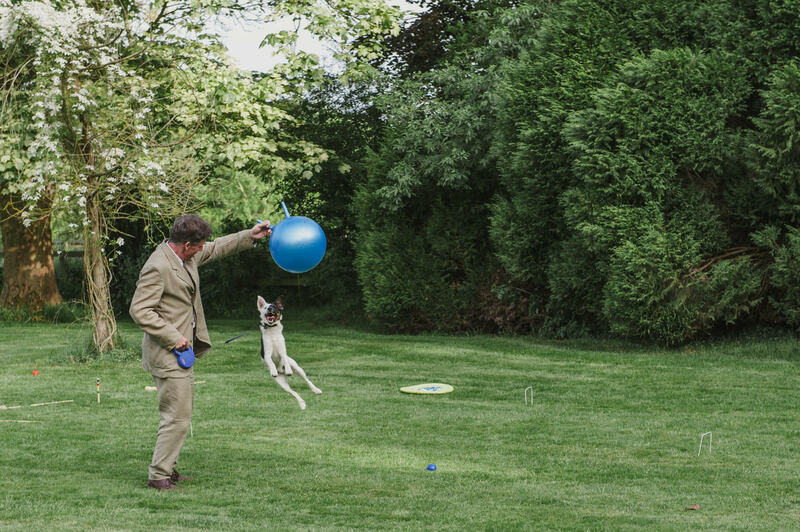 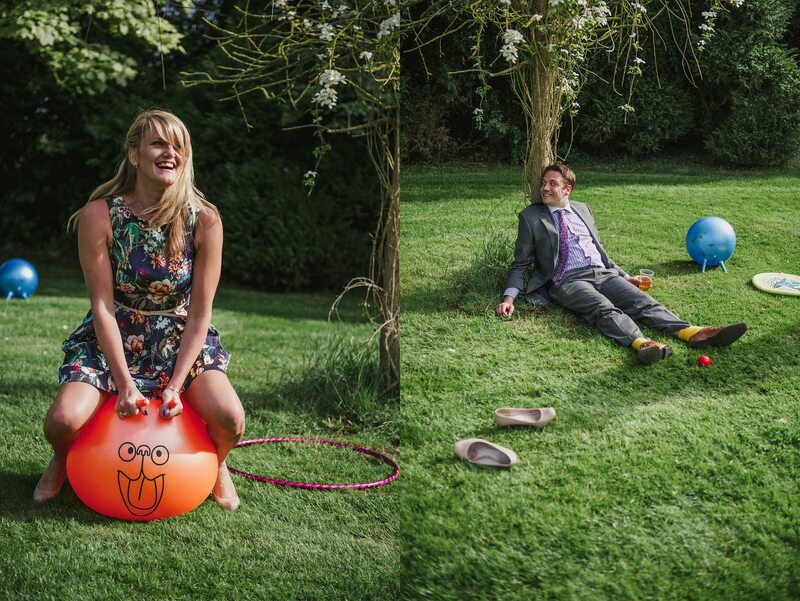 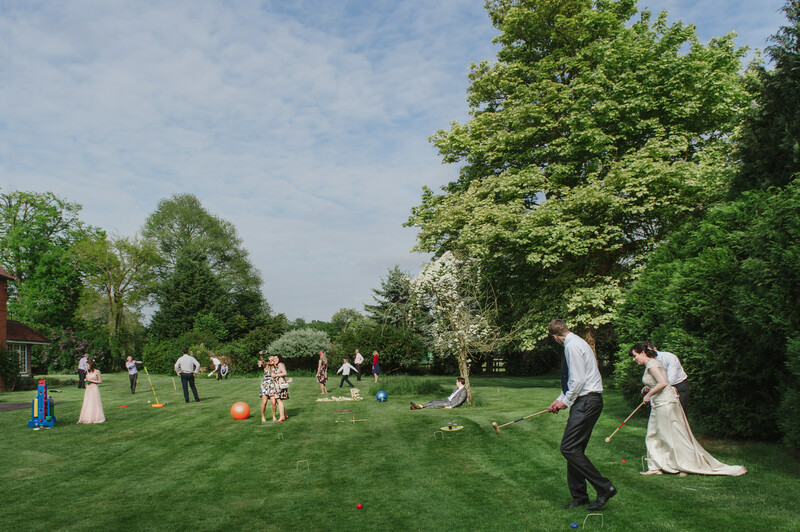 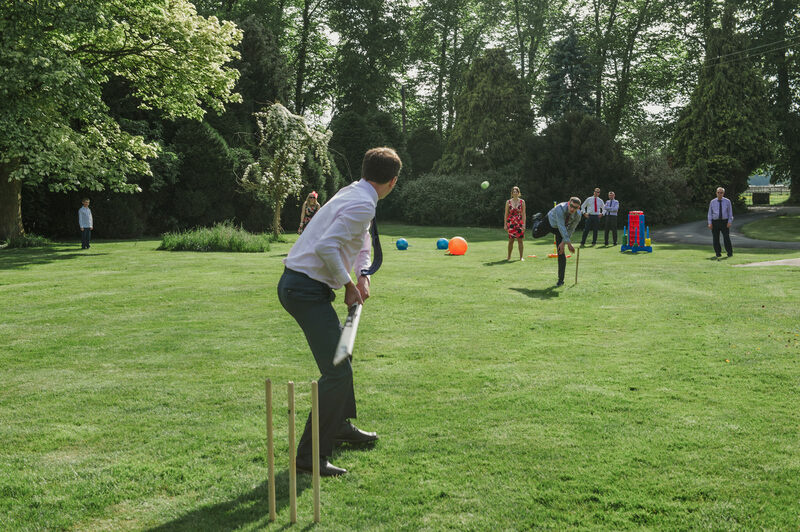 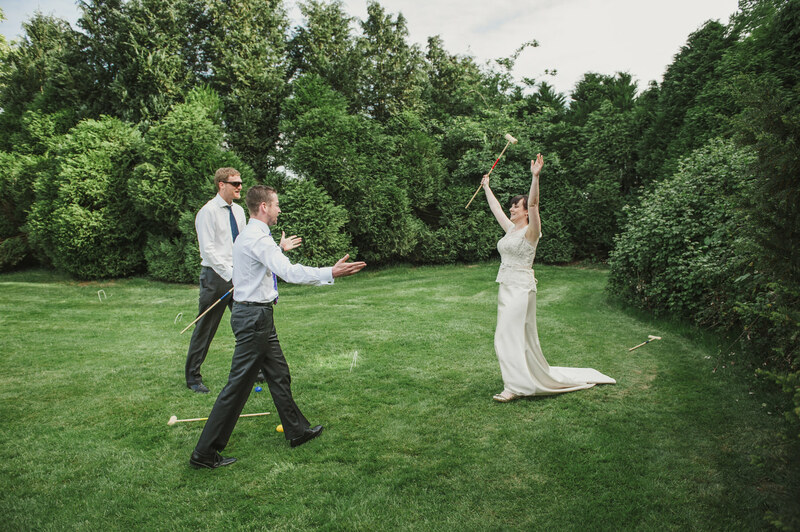 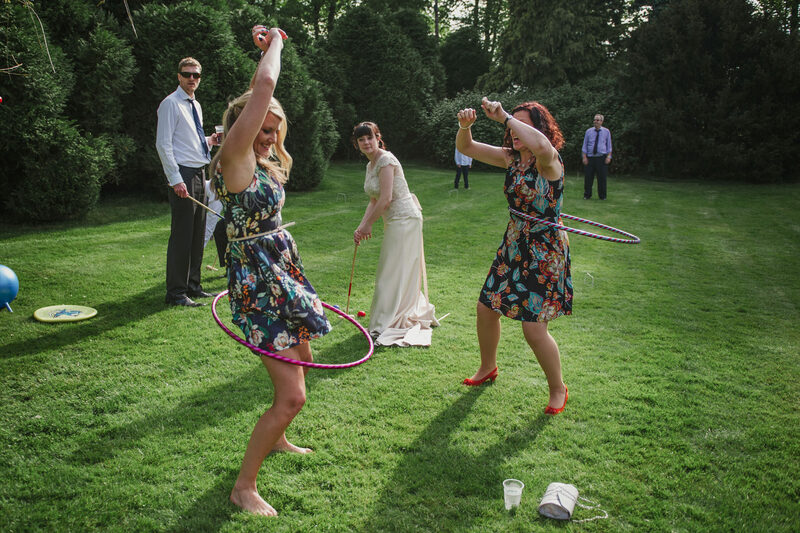 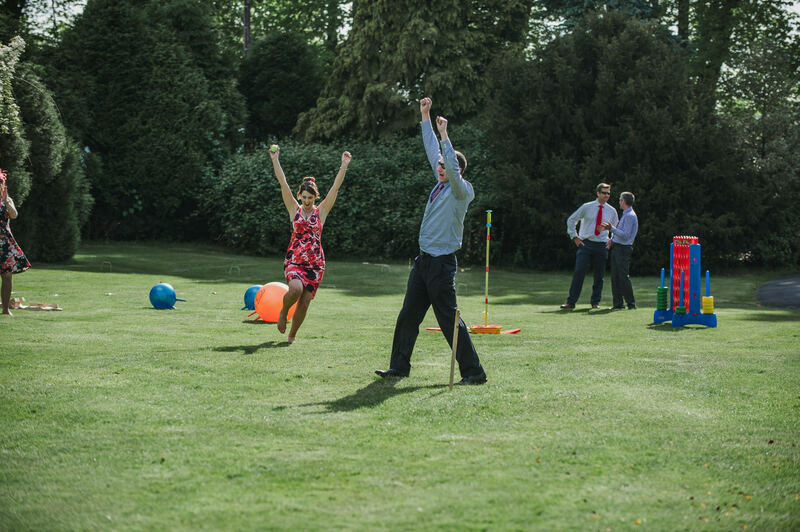 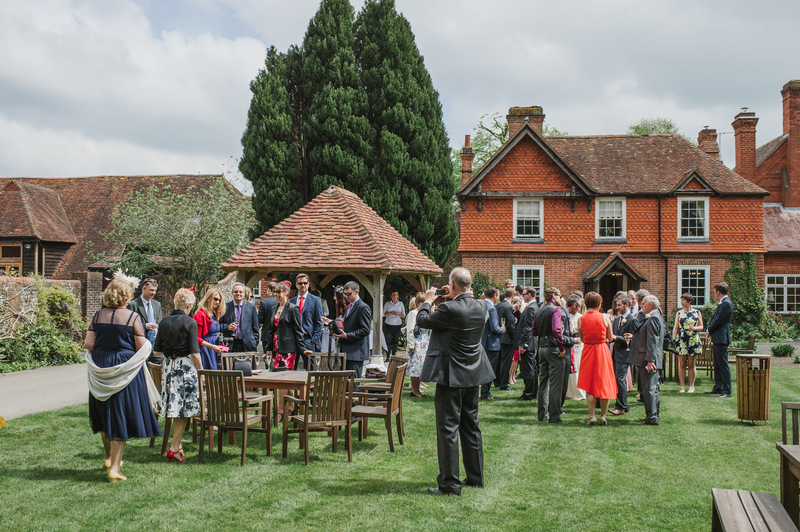 As it was one of those beautiful warm spring days, we were able to make the most of being outside for the drink reception and have a right old laugh with the lawn games. 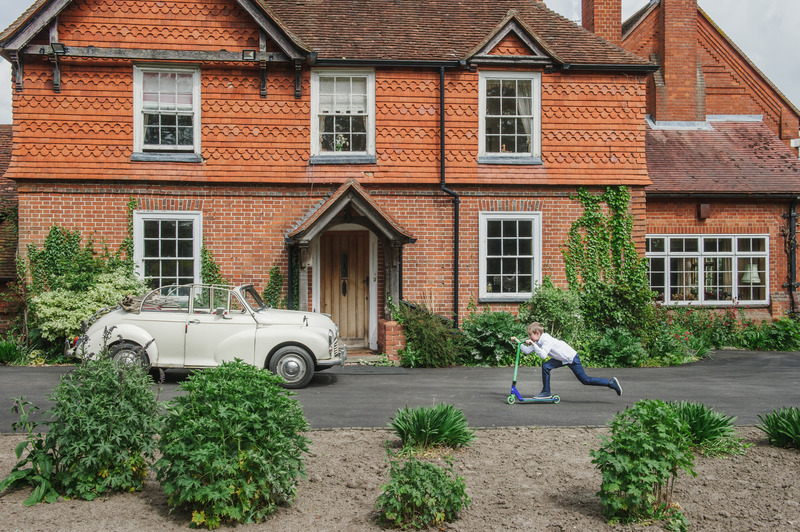 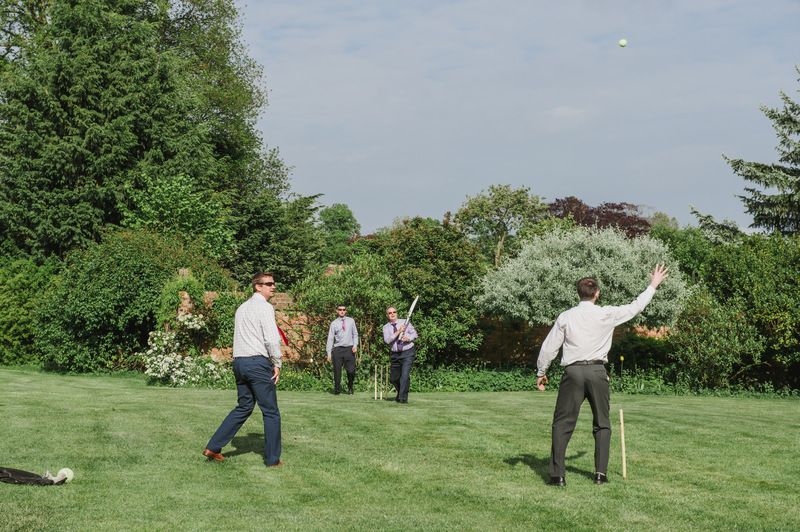 One of my favourite shots of the day is when everyone is outside playing cricket and croquet or chilling out under a cherry tree. 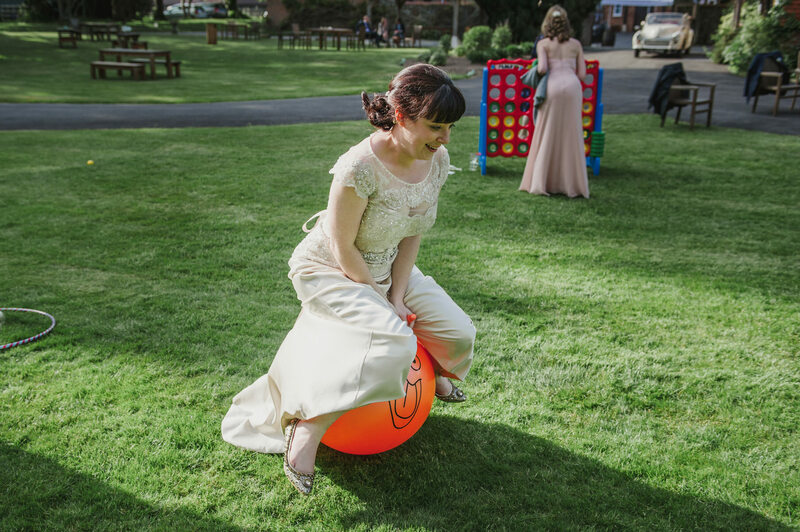 We had giant Connect, Hula Hoops, Horseshoes and Space Hoppers bouncing around the place. 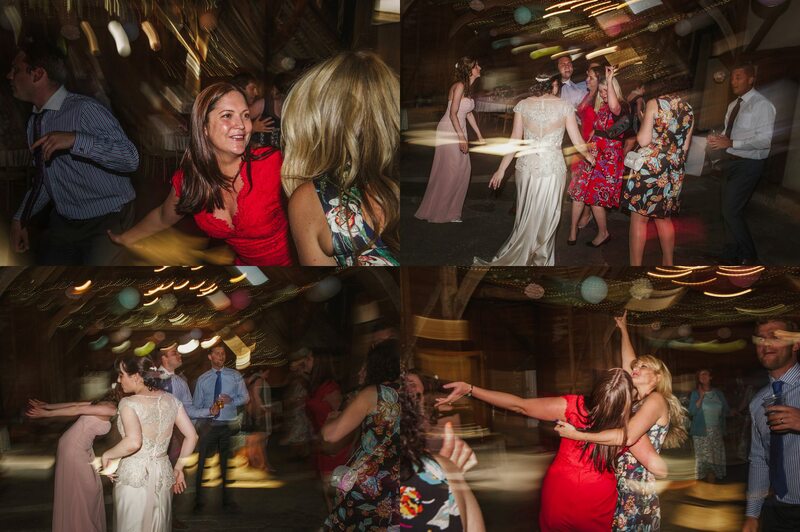 Just brilliant fun. 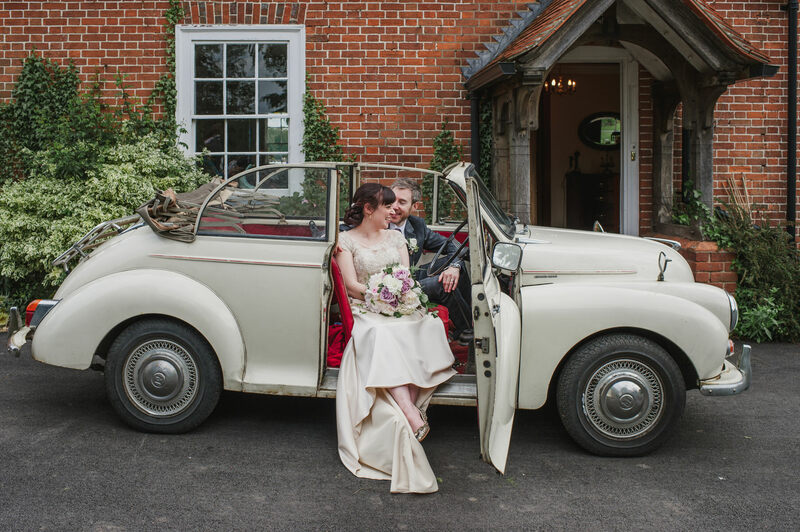 As every part of the wedding was taking place at Heron’s Farm, Frances and Matt knew they wouldn’t really need a wedding car but there was a personal attachment to the family Morris Minor and Frances’s uncle brought her Grandfather’s Morris car down to the wedding as a lovely way of including the grandparents in the wedding day and remembering them. 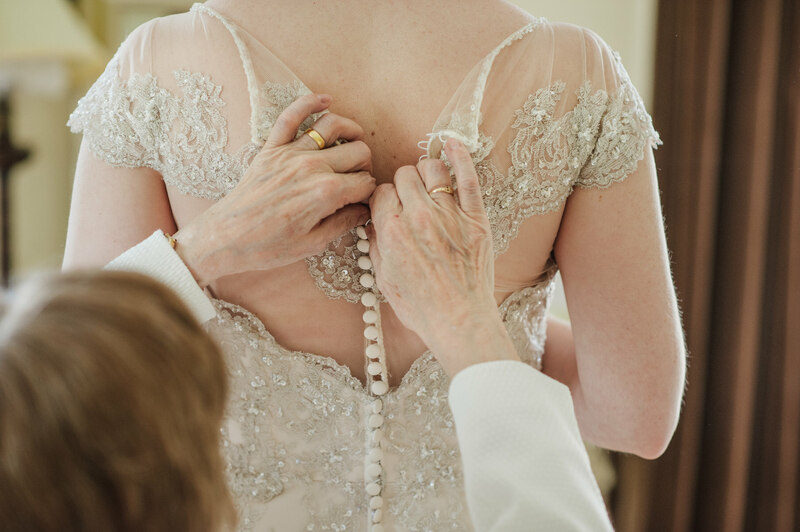 Frances also had a vintage blue button, that had belonged to her great grandmother, sewn onto the belt of her wedding dress. 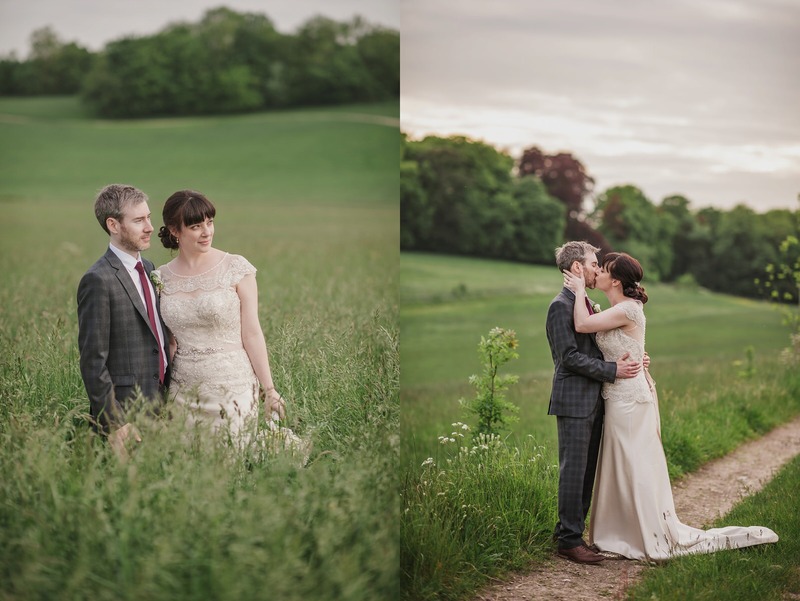 Heron’s Farm is a working stable surrounded by rolling hills and we were able to wander around the grounds and go into the valley for some couples photos later that afternoon. 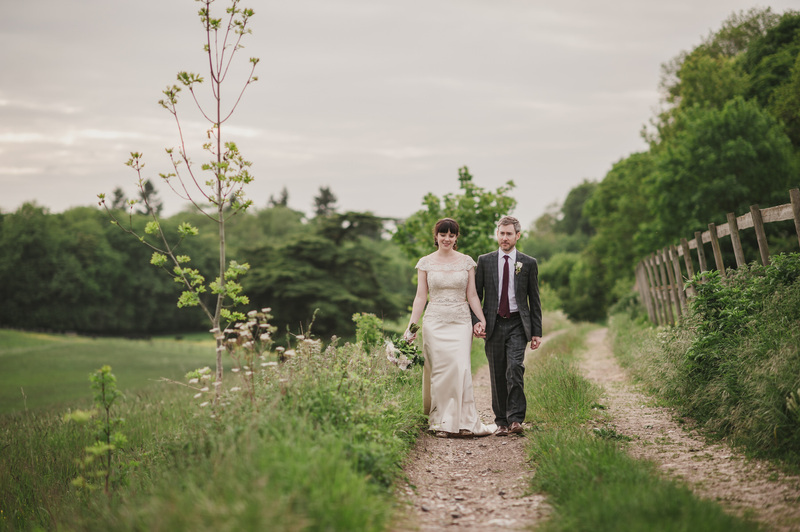 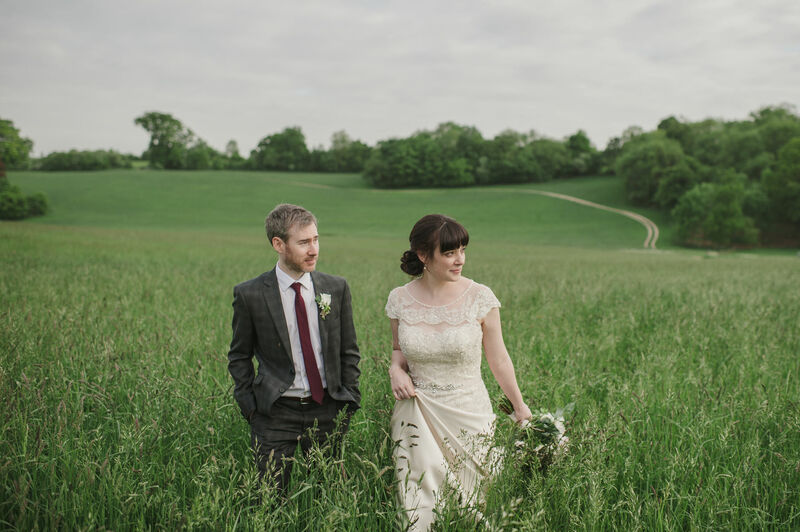 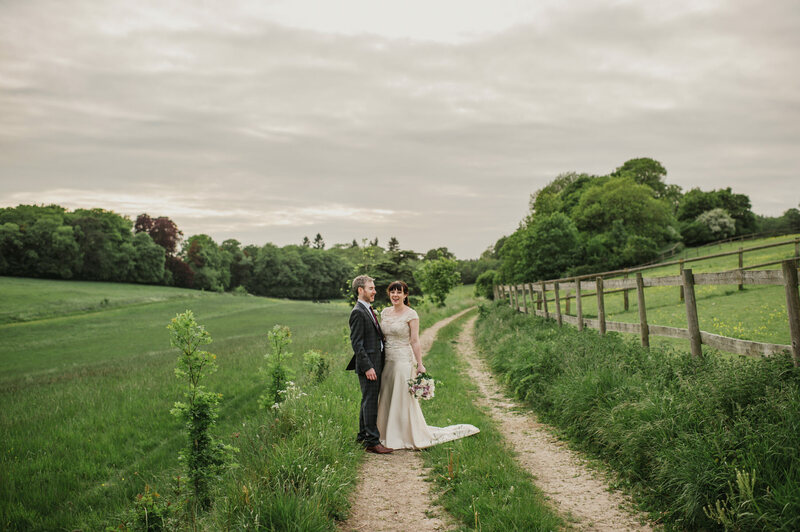 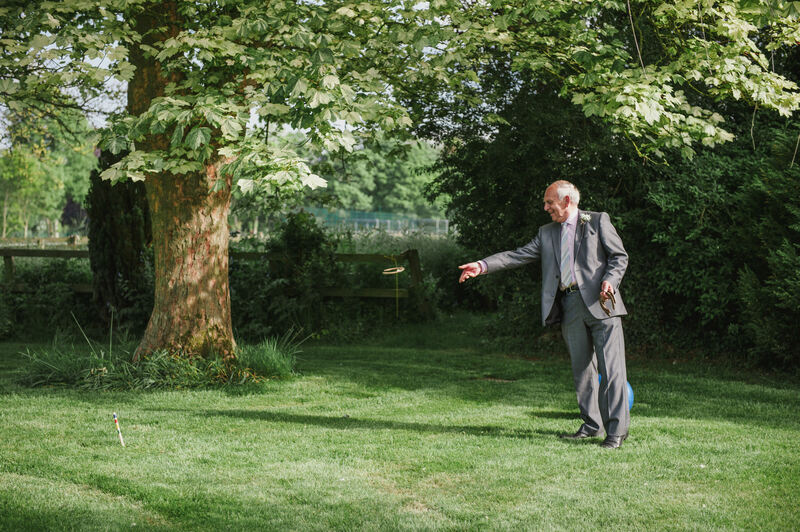 It’s such a beautiful countryside setting for a rustic wedding and Frances and Matt were able to spend some time walking in the early evening light, taking in all that had happened so far on their wonderful wedding day before the dancing and party got underway. 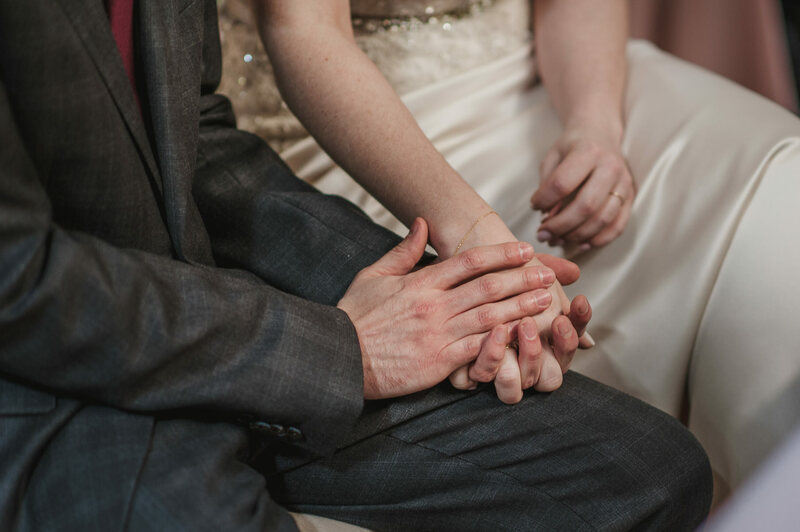 Thank you so much for sharing your day with me. 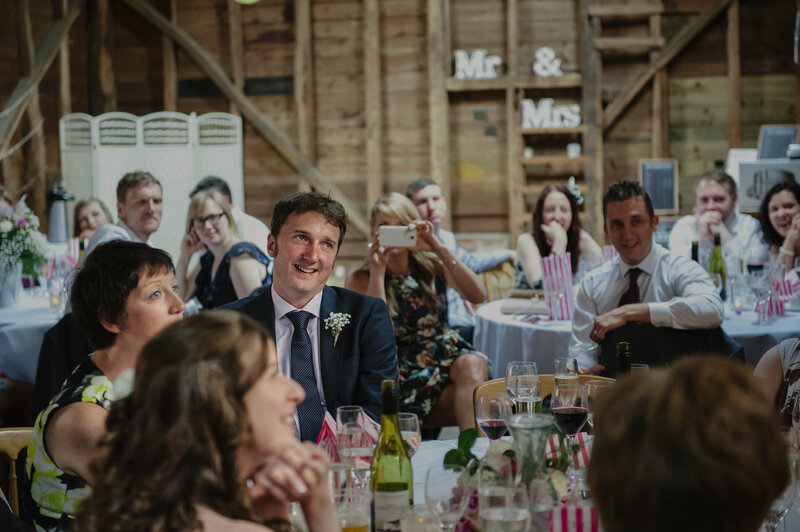 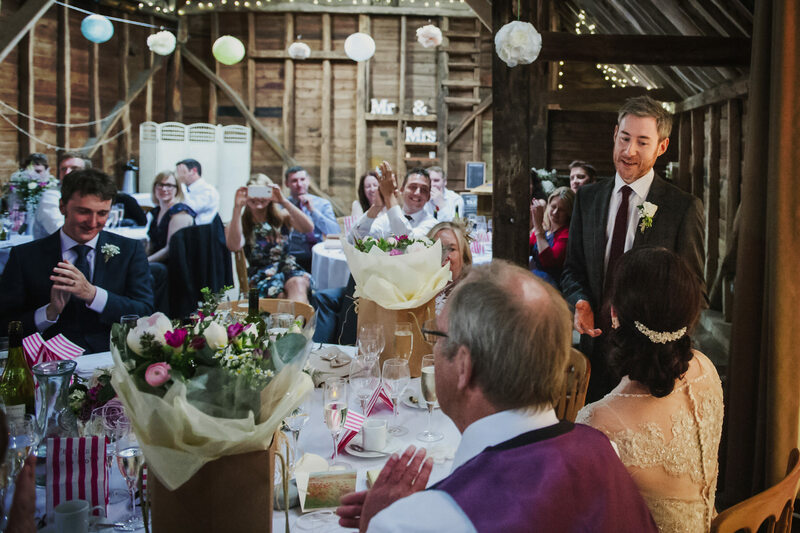 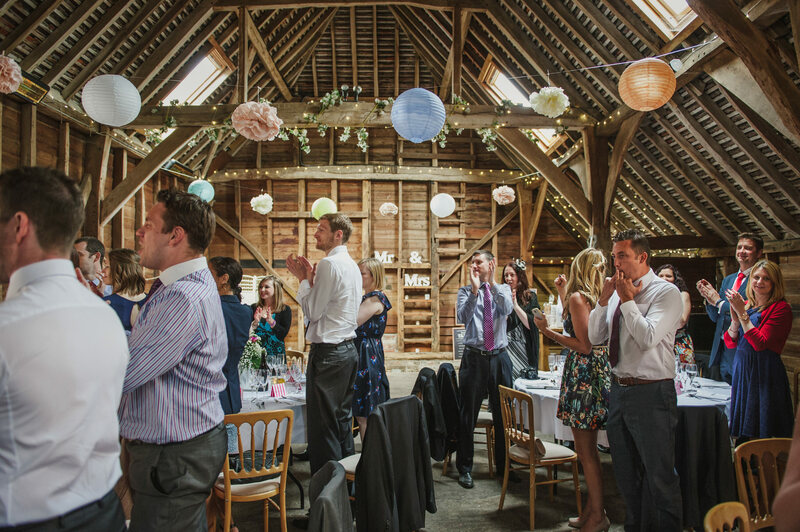 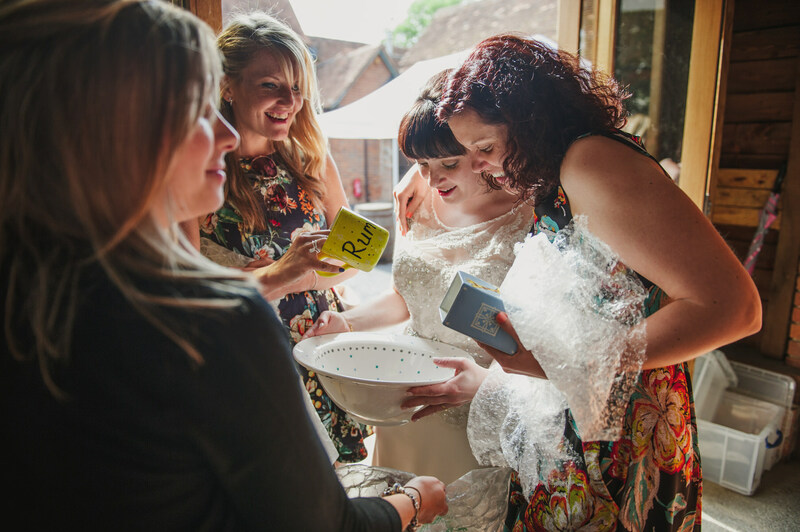 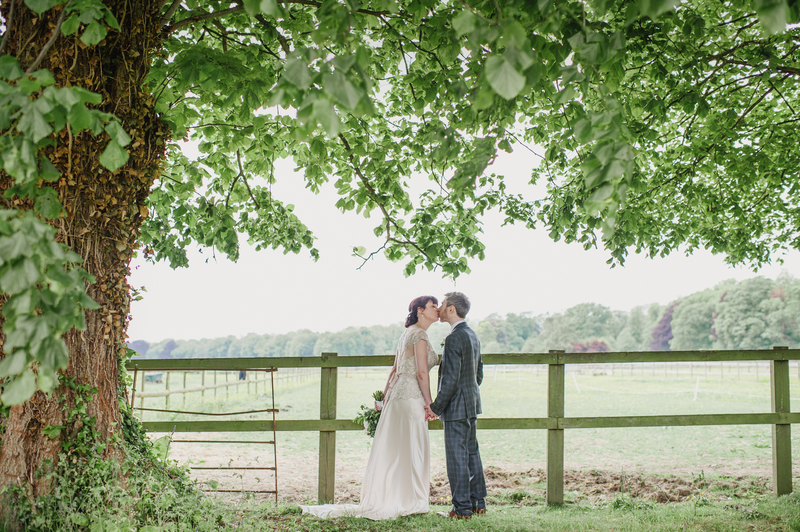 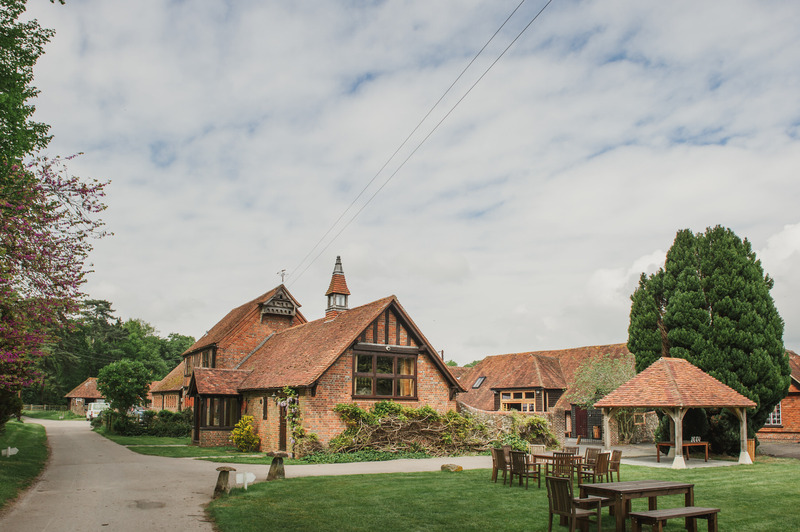 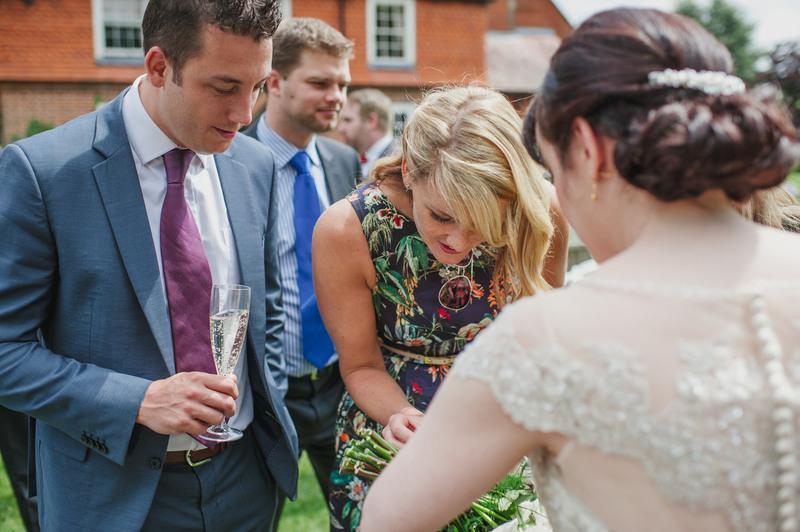 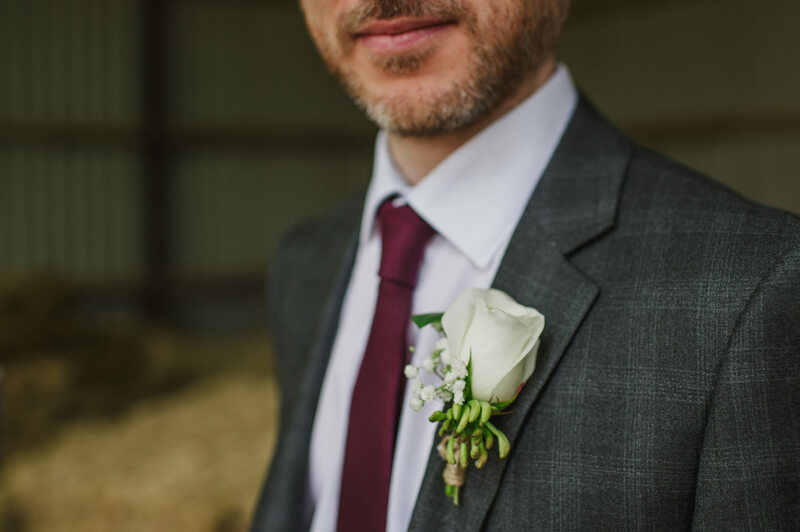 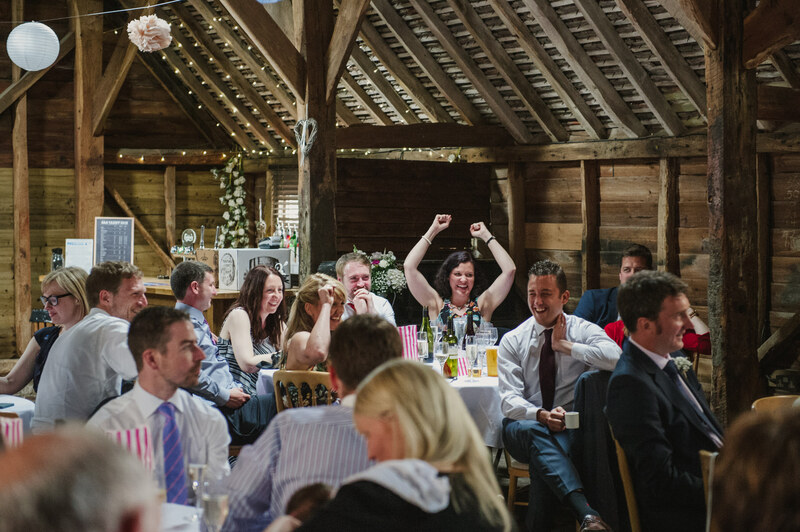 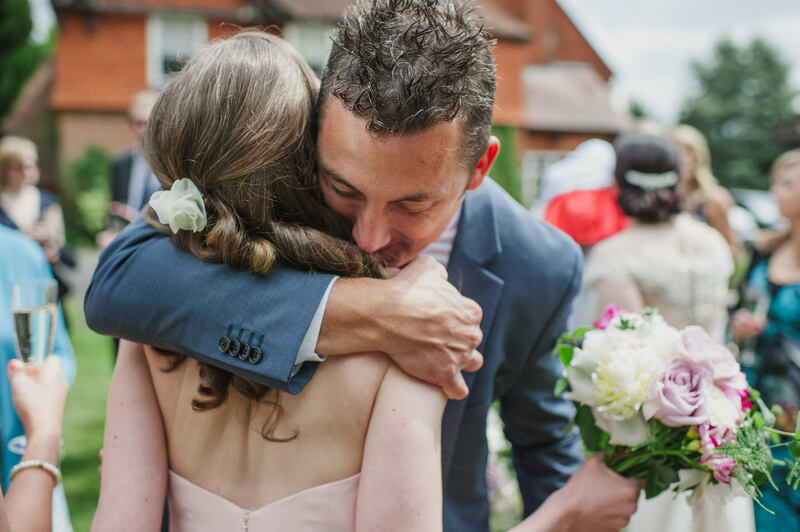 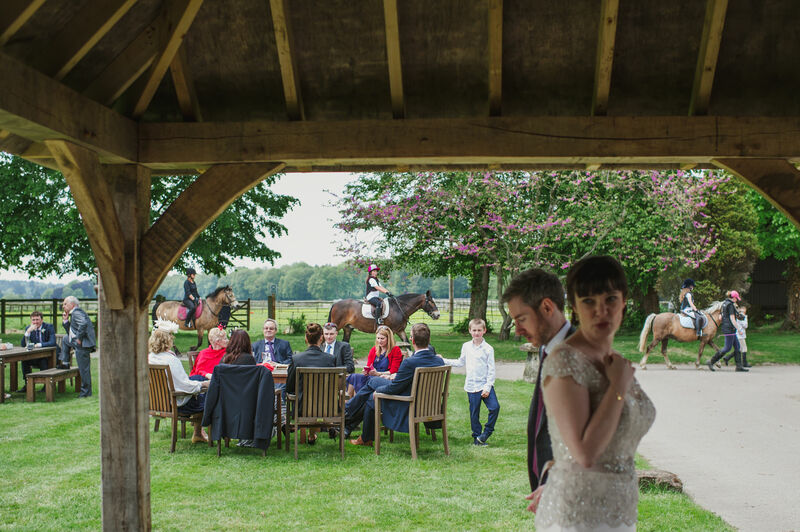 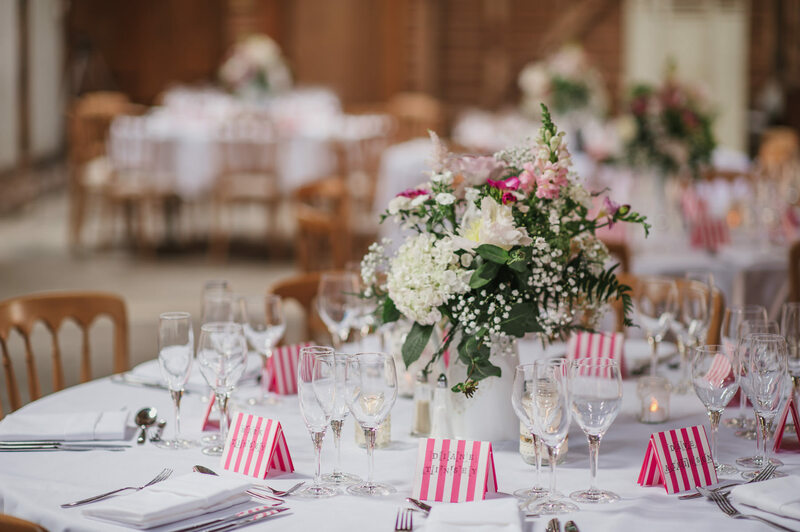 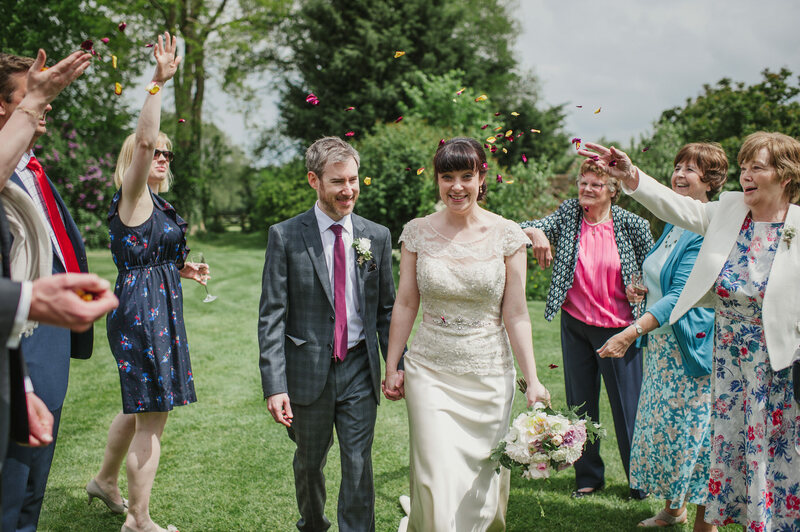 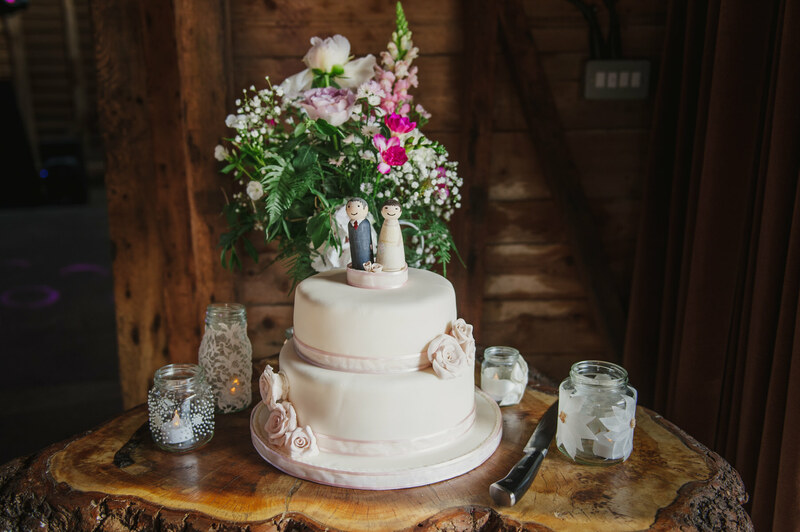 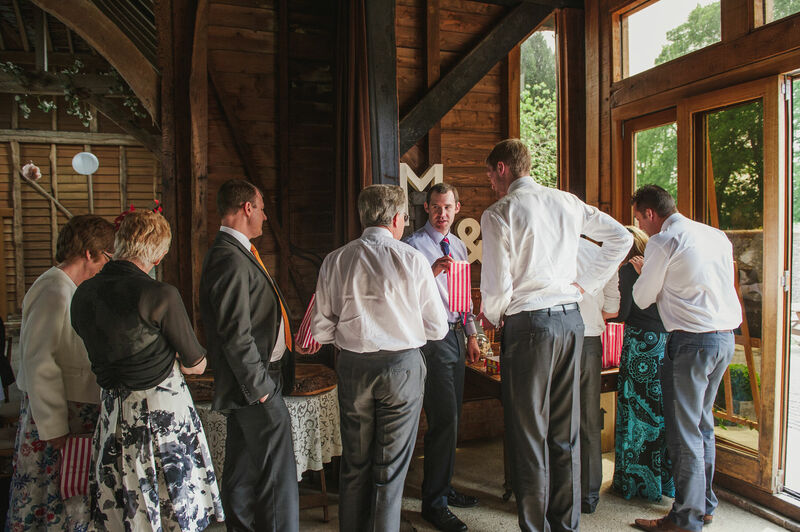 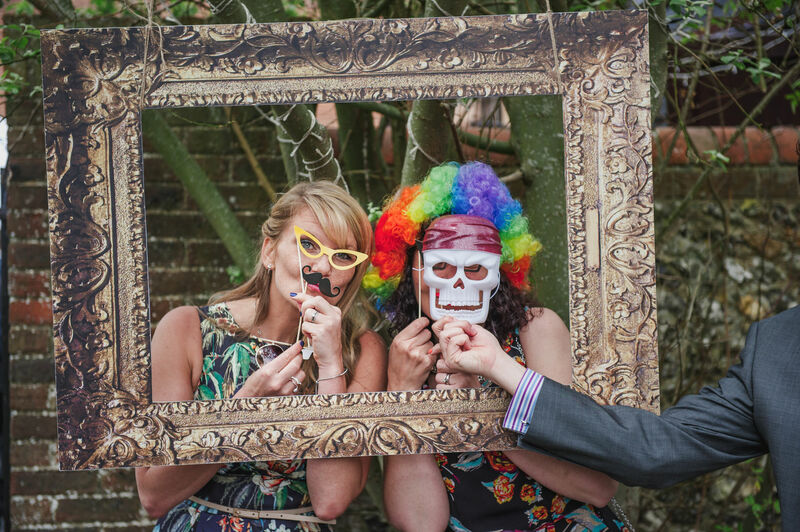 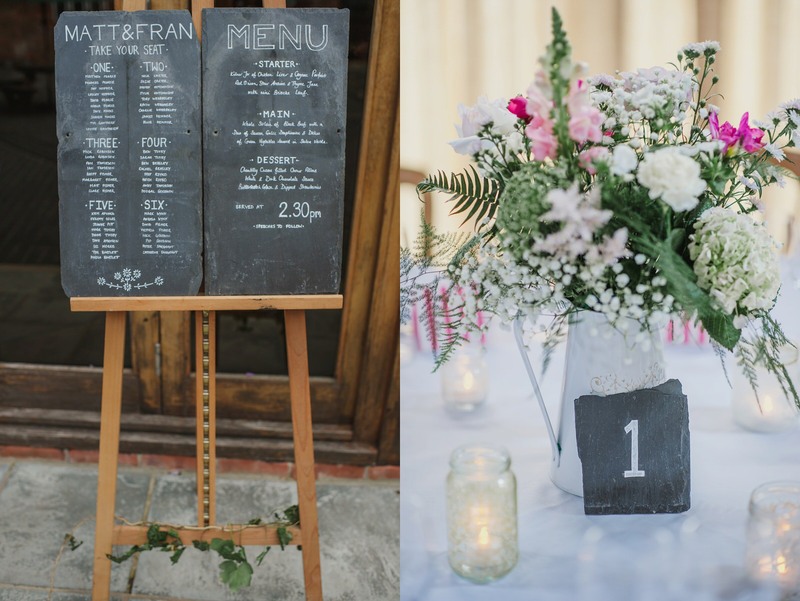 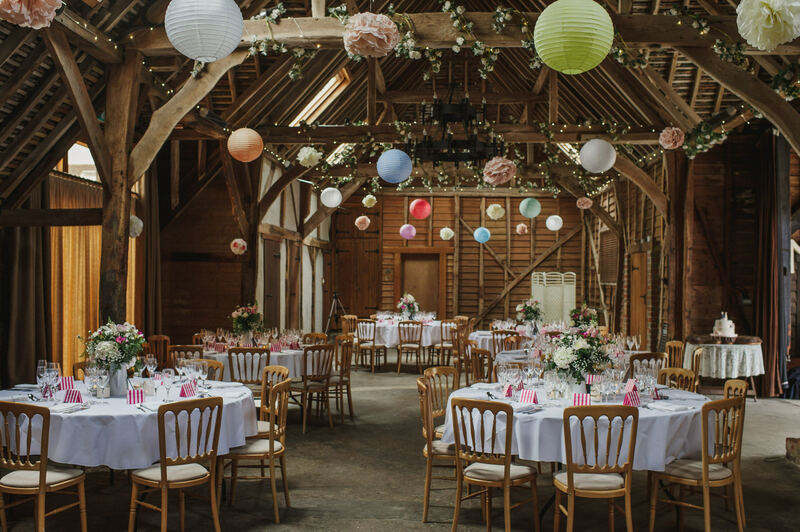 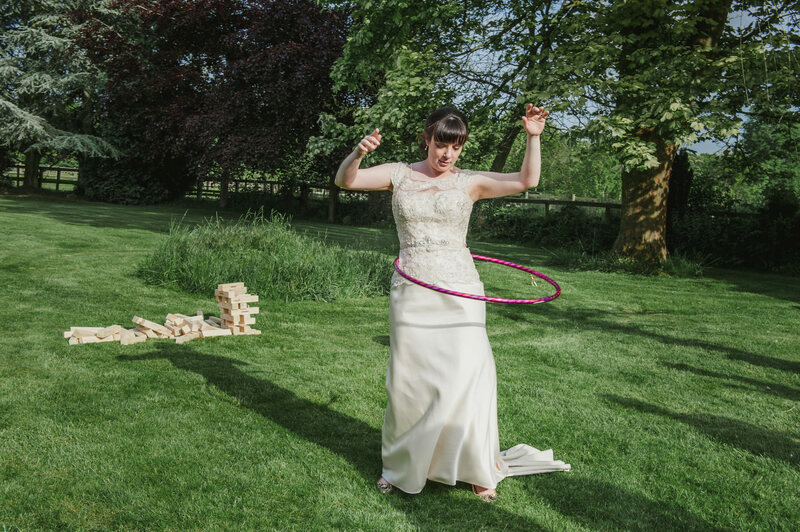 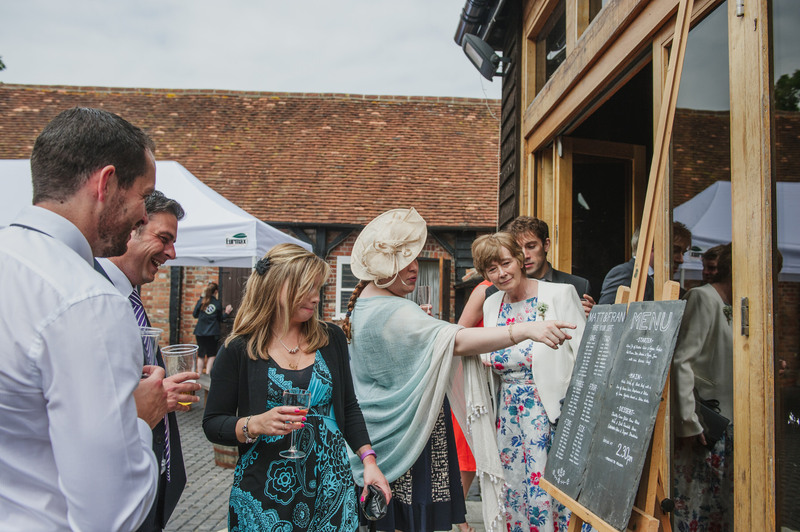 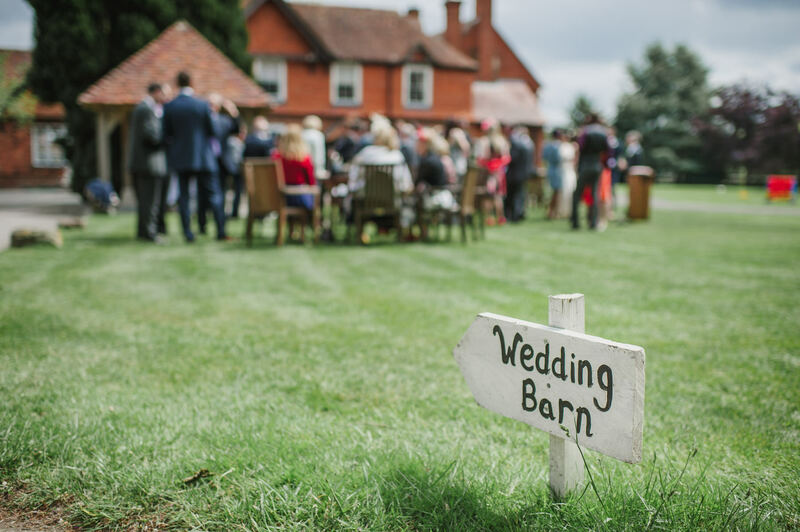 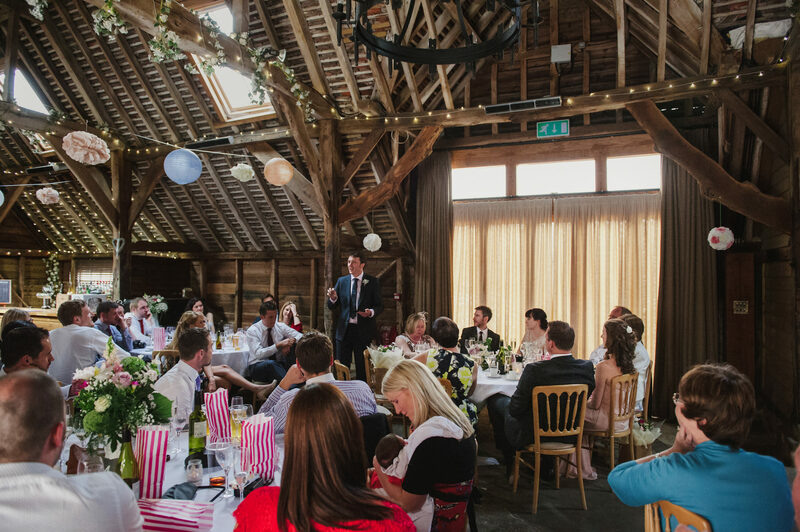 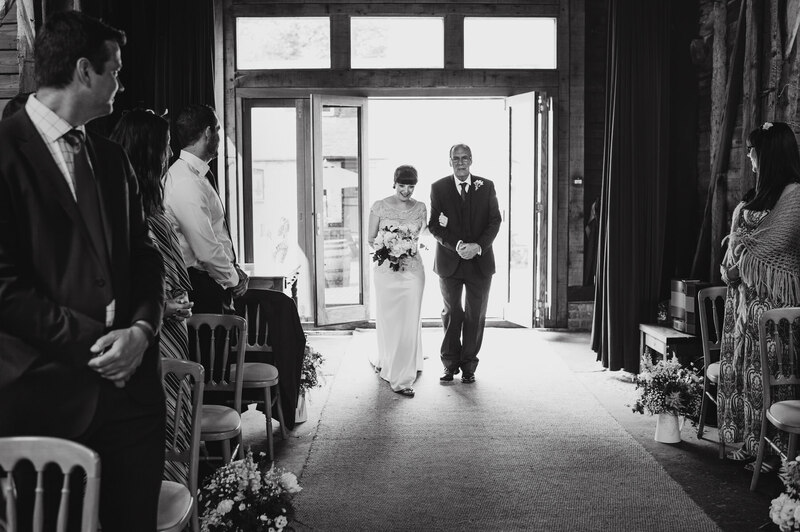 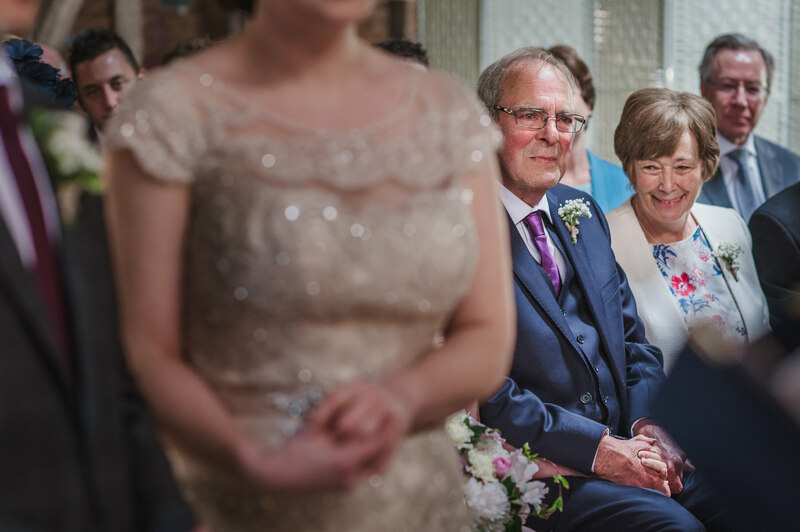 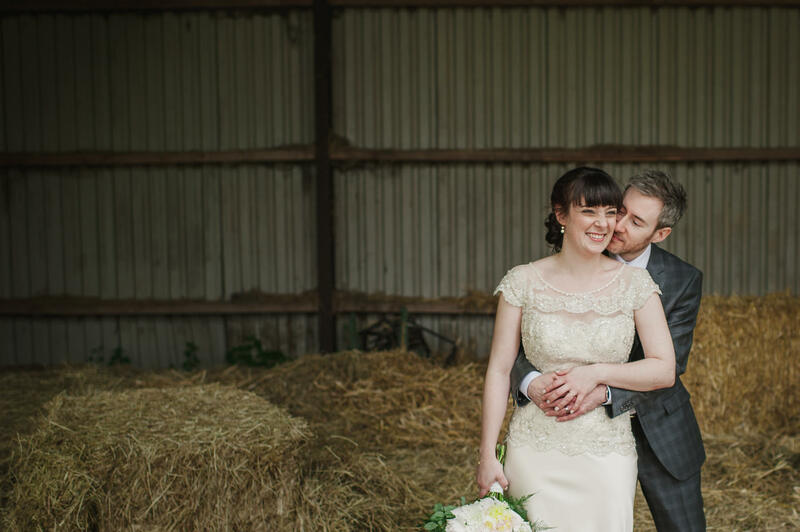 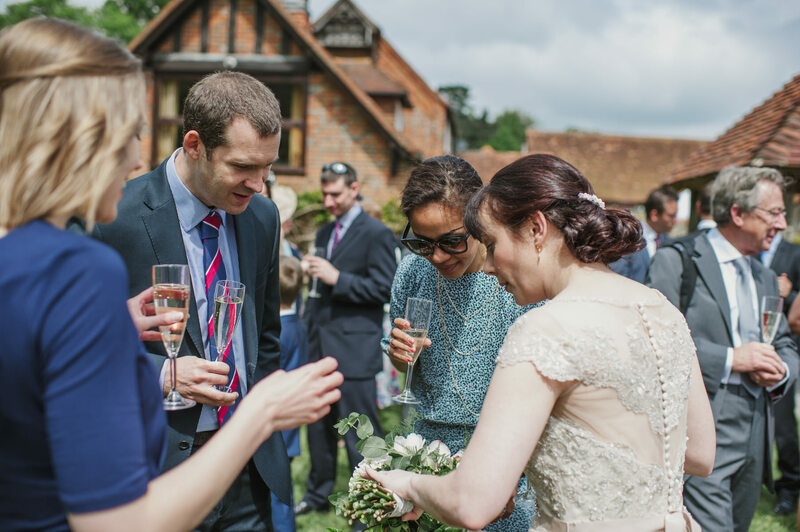 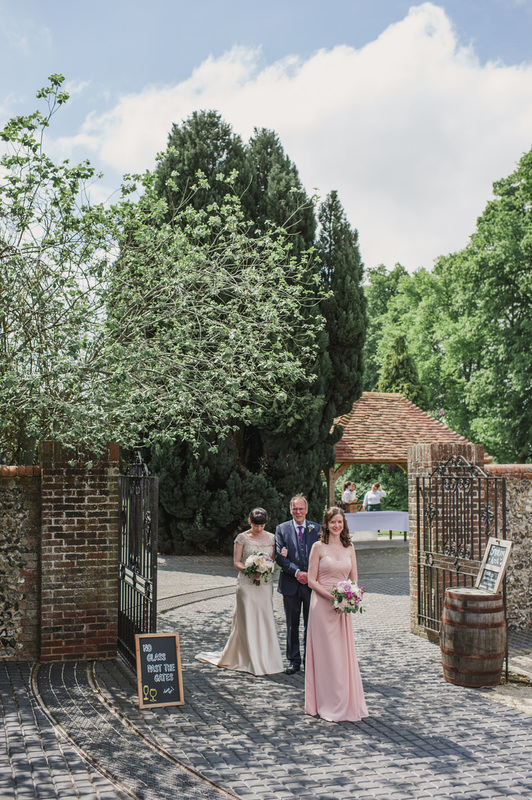 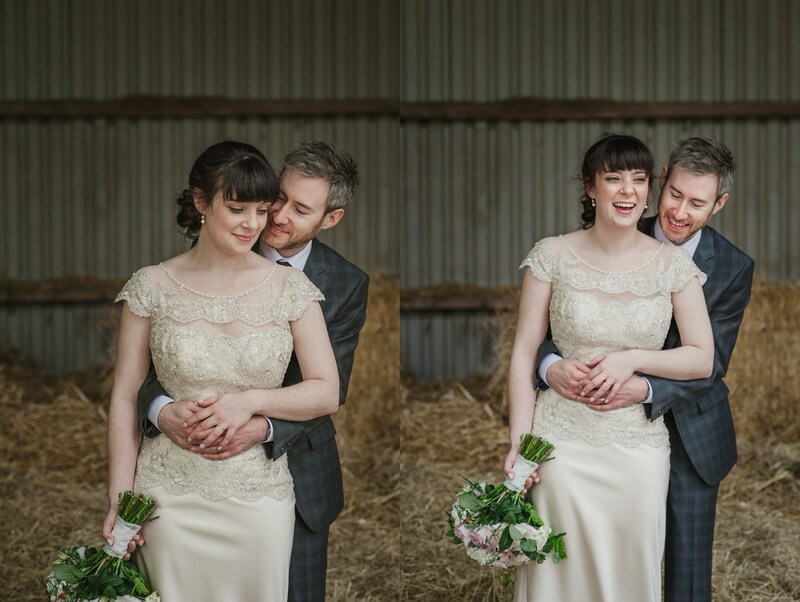 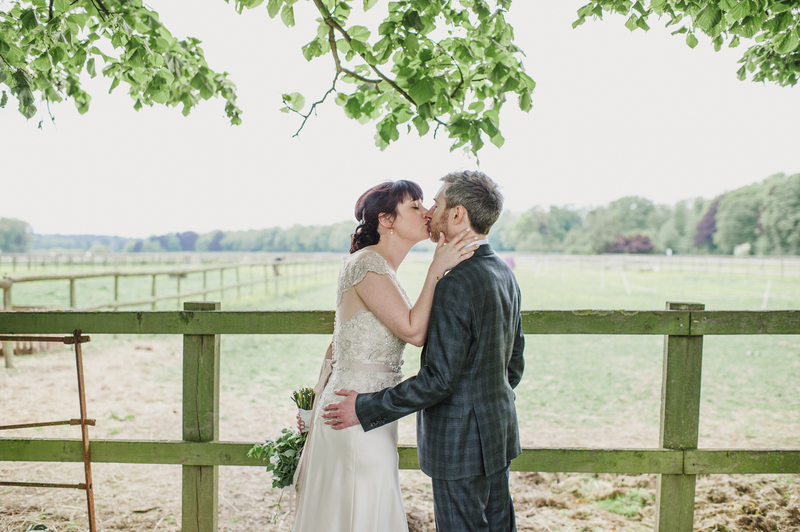 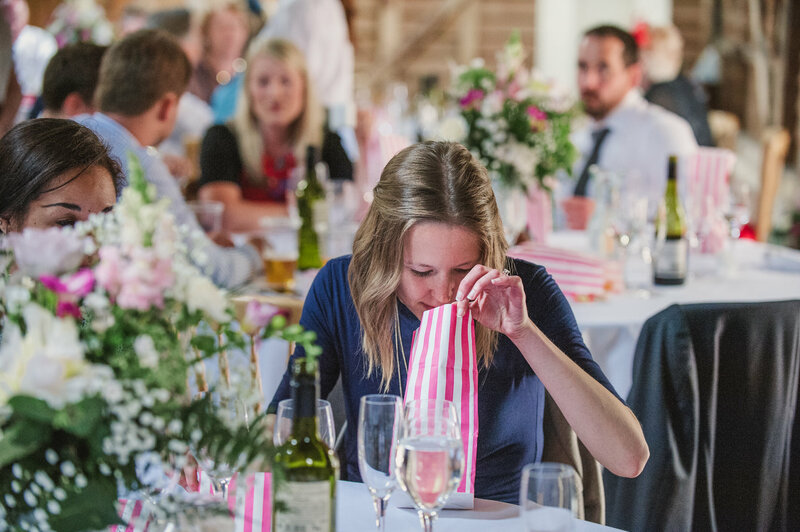 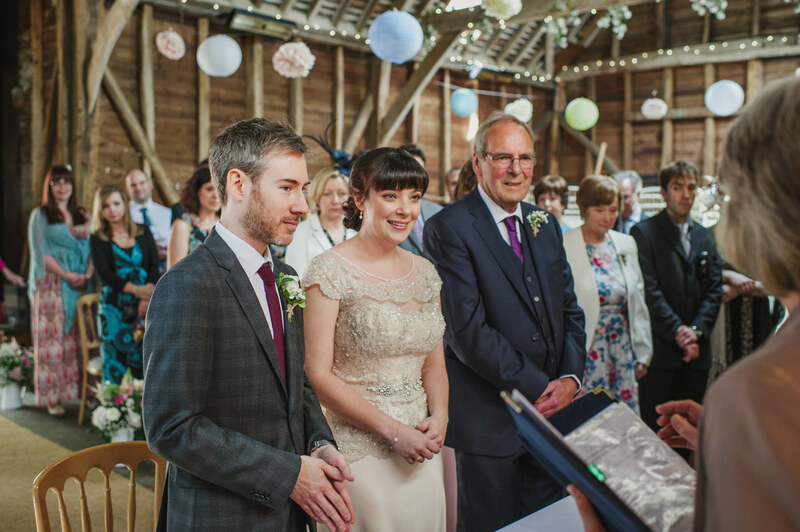 If you are thinking of getting married at Heron’s farm or having a barn wedding, please do get in touch, I’d love to hear about your exciting plans.